Login into your CSL Player Account! Thanks for signing up! Keep an eye on your inbox for info about upcoming CSL events! 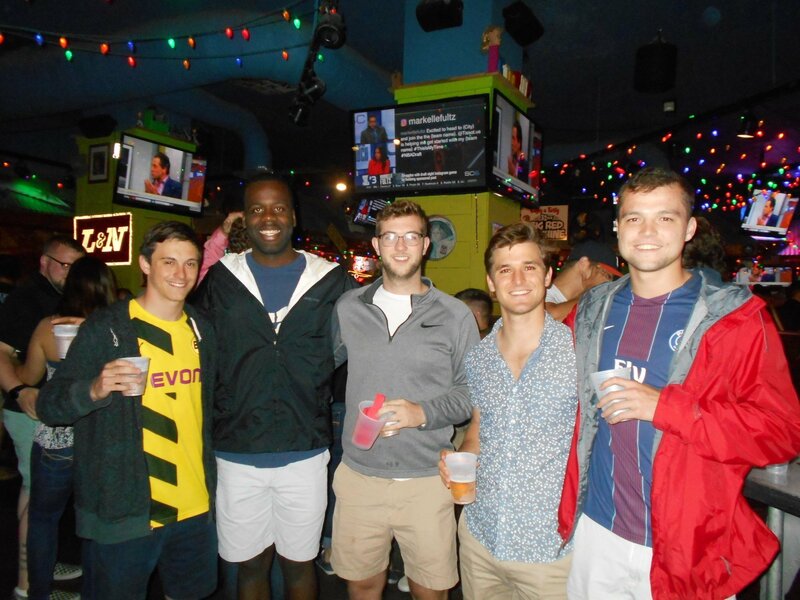 Sign-up for updates on happy hours, events and leagues! 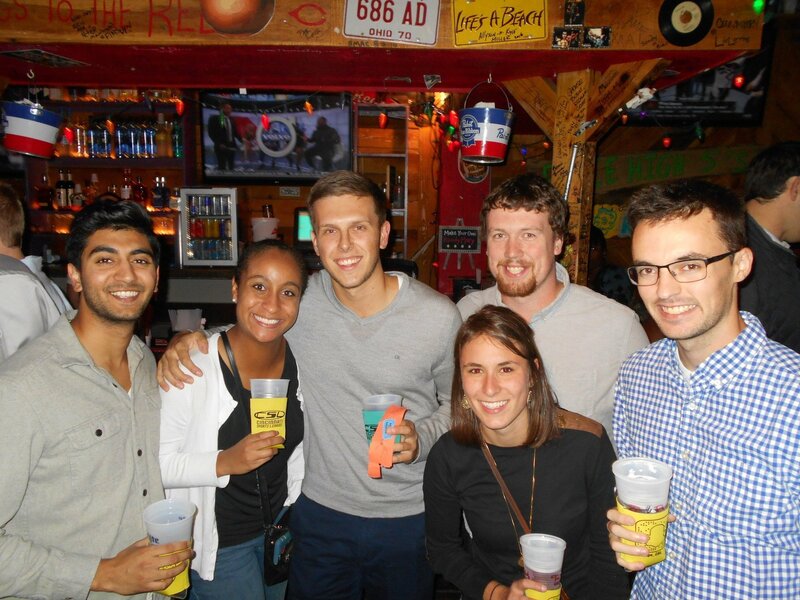 Join us for our first Happy Hour in April at Tin Roof. Head to the original music venue down at the Banks for the official start to Cincinnati’s weekend – 10 for $10! Enjoy 8 Mich Ultra drafts and 2 Fireball shots while enjoying Tin Roof’s new menu. 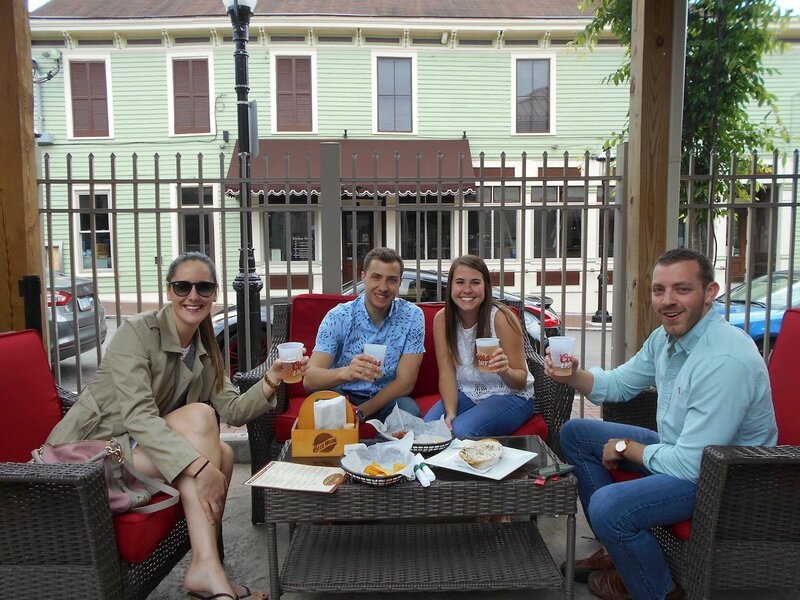 Come get your weekend started with the original Cincinnati Happy Hour! As always, be sure to drink responsibly and hire and Uber or Lyft, call a cab or designate a driver! Update 4/10/19: EVENT IS SOLD OUT!!! UPDATE 3/20/19: Due to overwhelming demand we have added a 2nd Bus for this Trip – Additional Tickets Now Available!!!! 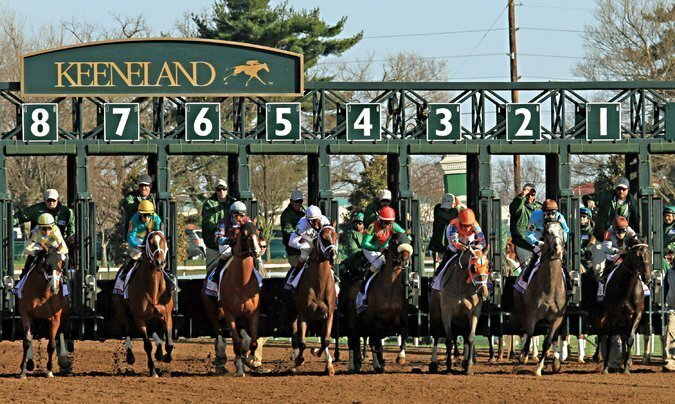 We’re back at it again with our trip to the Spring Meet at Keeneland! 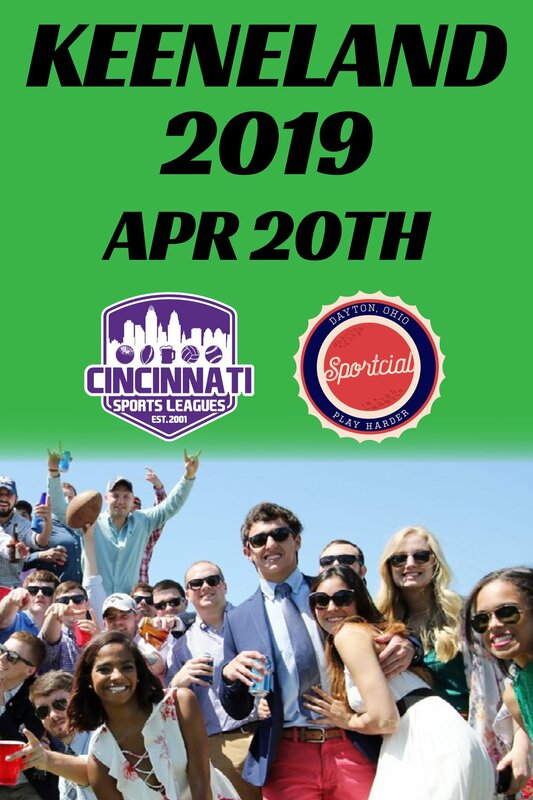 Join Cincinnati Sports Leagues for an epic trip to the races this April. We do all the heavy lifting, you just have to show up and be ready to party! This is event is 21 and up, each participant’s ID will be checked before boarding the bus. No ID, no trip, no exceptions! Your ticket for the Saturday April 20, 2019 (Closing Saturday) trip includes general admission to the track, charter bus transportation to and from Keeneland, beverages on the bus (Morning Mimosas, domestic & craft beer, shots, soft drinks, and bottled water), lunch, snacks, and the liveliest crew imaginable. Seriously, we mean it. It’s THE. BEST. TIME. We will depart at 10:00am and arrive at Keeneland with ample time for tailgating before the first post time at 1:05pm. CSLwill provide music, bags, and other activities for tailgating! For the April 20th Trip we will be joining forces with Dayton Sportcial for this events tailgate. Party with over 100 people from Cincinnati & Dayton that enjoy Sports & Social Events as much as you do! 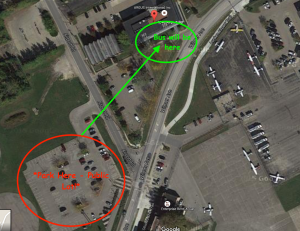 The public lot is next to our office building and across from the Lunken terminal, but the bus will be located in front of our office, so you’ll have to walk across the street. SEE MAP BELOW! Tickets can only be purchased through CSL, and are non-refundable. All attendees must be 21 years of age or older and have a valid ID the day of the trip! We encourage all attendees to party responsibly and designate a driver, call a cab or order a Lyft or Uber on your way home from this trip! We’re heading up the hill to Chapter Mt. Adams on 4/26 for another 10 for $10 Happy Hour! 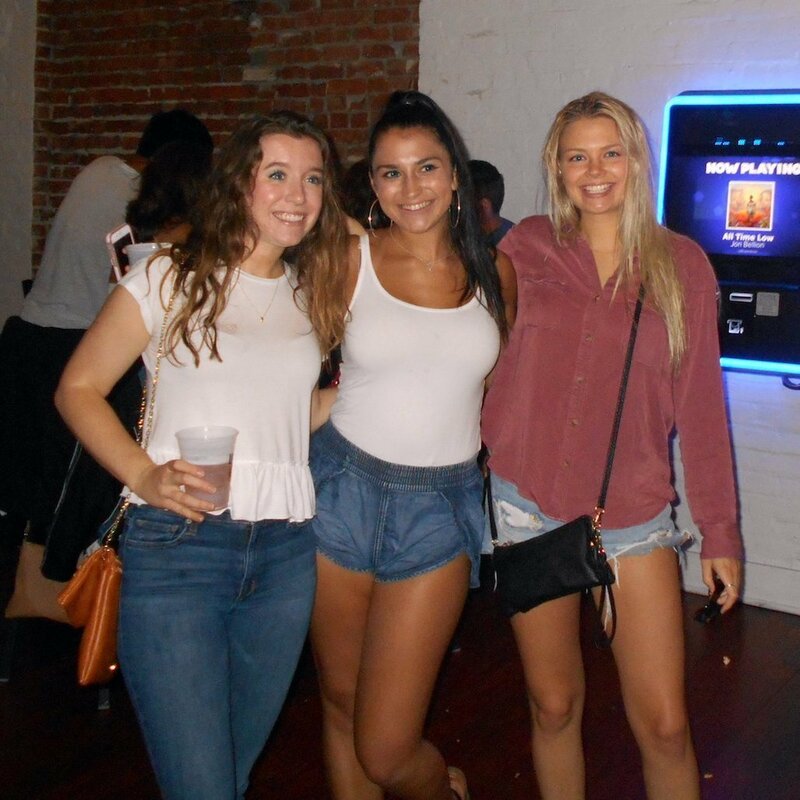 Just $10 for drafts and 2 Fireball shots from 6pm-9pm. April 26th will be the first Friday of live music at the Chapter this spring. Live music from 6-9pm featuring Matt Waters and the Recipe! Check out Chapter’s retracting patio roof, that will allow us to party outside this Spring regardless of what Mother Nature decides to do! We head back to Court Street where the currency is always FUN! Join us for our first Happy Hour in May where prices may rise and fall, but when CSL is in the house the price is always $10 for 10! 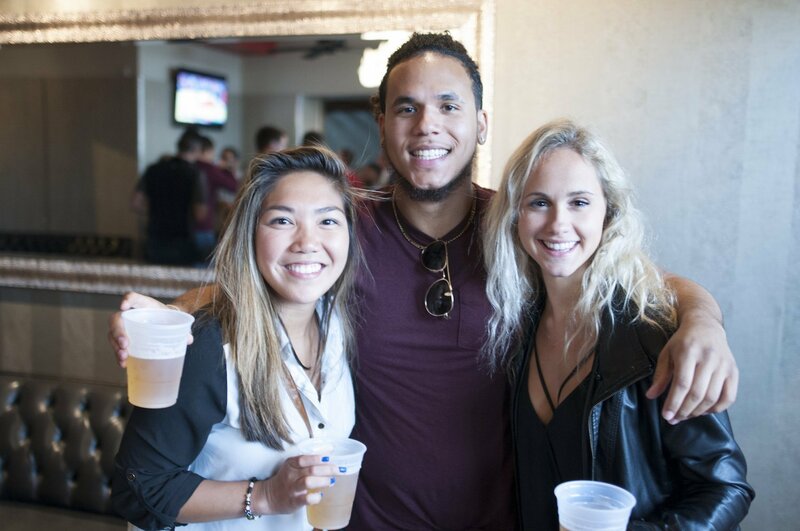 Enjoy 8 Bud Light drafts and 2 shots of Fireball as we welcome warm Spring weather! We head back to where it all began for CSL – The Drinkery on Main St in OTR! Join us for a mid-May Happy Hour at the spot where you’ll most likely end up dancing the night away! Enjoy 8 drafts and 2 shots of Fireball as we sprint towards the first holiday weekend of the Summer! We head up the Hill to Mt. Adams Pavilion for our last Happy Hour of May! Join us on the best patio with the best views of Cincinnati and the mighty Ohio river. Come early and stay late as we officially welcome Summer weather! Thanks to our friends @fireballwhisky for hooking up all our Keeneland Bus Trip patrons with a little #fireandcider swag! Cincinnati Sports Leagues is at Keeneland.